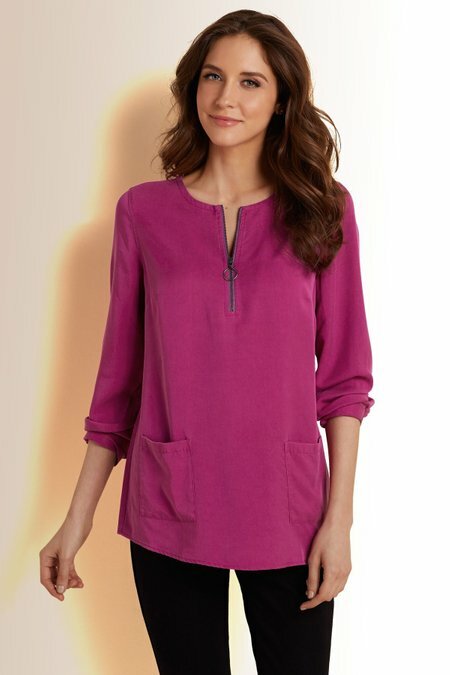 A naturally soft and fluid favorite finds a modern edge in this long-sleeved tunic. The pullover style has front patch pockets for a casual feel, while a front half zip gives it a sportier vibe. Button-cuff long sleeves. Tencel®. Misses 28" long.